The University of Wisconsin women’s hockey team is heading out to Ithaca, New York for a final series before taking a week off of a grueling schedule. Wisconsin is on a roll this season, remaining undefeated through seven weeks of intense play. The Badgers have managed to earn victories against teams like No. 4 Ohio State, Bemidji State, and rival Minnesota. 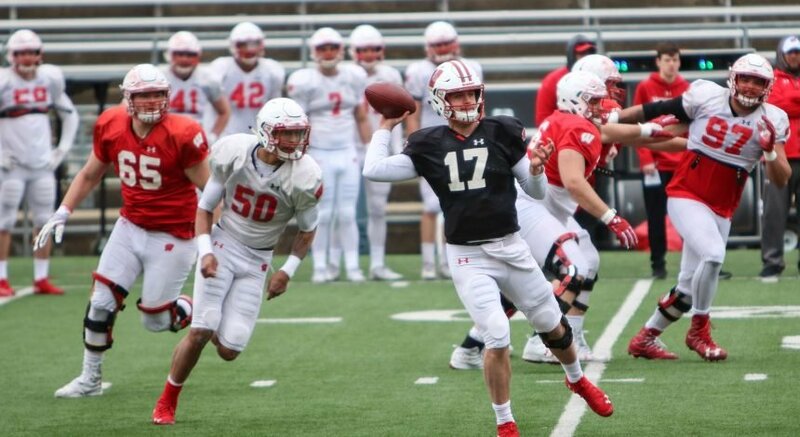 The Badgers are being led this season by their skilled group of underclassmen, who have been managing to create a lot of good momentum for the UW. While Wisconsin might be one of the youngest teams in the WCHA right now, they are playing with the maturity and the skill of teams past. 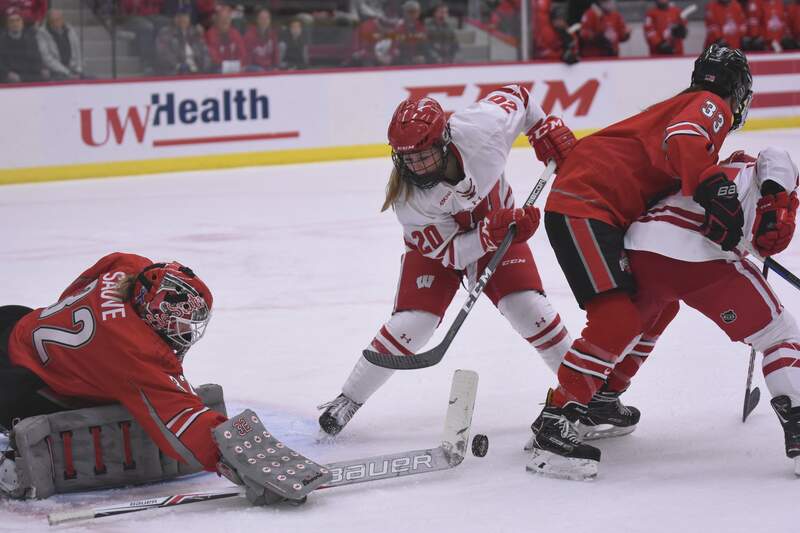 Wisconsin is also being helped along by goaltender Kristen Campbell, who has stepped up and filled the skates of former netminder Ann-Renee Desbiens. 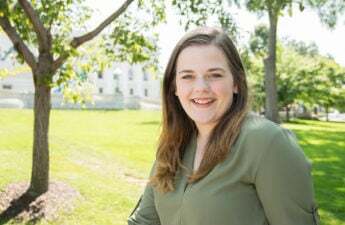 Many thought that Wisconsin goaltending would never be the same after Desbiens left an impressive mark on the program, but Campbell is showing her stripes during her first few months as a Badger. While Wisconsin has been a little shakier on the road, they have still managed to out-perform their hosting teams. UW holds good odds of pulling away from their series in Ithaca with two more wins, before earning some much deserved time off. Cornell is doing alright for themselves this season, with a 3-1 record so far this season. With fewer games than Wisconsin under their belt, Cornell is going to have to work hard if they want to best the Badgers in New York. Cornell and Wisconsin have meet a few times in the past, with the Badgers usually coming out on top during the matchups. However, there is something to be said for home ice advantage, and Cornell has always been a formidable opponent for the Badgers. Wisconsin heads to Ithaca with all of the motivation to win, especially considering that they are just three days away from getting a week off. The No.1 team in the nation has not seen a break in play since their season began in September, and this week off will provide the time needed to rest sore limbs and heal minor injuries. 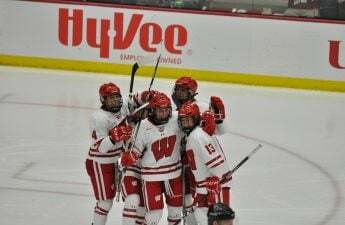 The Badgers and the Big Red face off against each other Friday and Saturday at 2 p.m.. Fans of the team can keep up with stats provided by UW Athletics.